It’s an exciting time in DJ6i’s studio! The Currents EP just hit the digital distros yesterday after some confusion with my distributor but I am already back in the studio again. This time I am trying to create a Christmas album before the season gets here. When you look around for Christmas music that does not have vocals, you end up finding only a few artists such as Trans Siberian Orchestra and Mannheim Steamroller that offer those (granted, TSO does have some vocals). I love the music but sometimes I find that people try TOO hard to sing the vocals differently than the 8 million other versions of the same song. Well, since I am not too active with vocals, I figure I can dust off some classics and bring some new life to some great music. So far, this is my track list that I plan on releasing… if my fans want some other song to be added, post it on here so I can determine if it is possible. Yes, the last two tracks are re-releases but I might actually redo at least one of them. Post your comments if you want to see a different song. Hey guys! I know many have asked me when my next EP will drop. I have been struggling a great deal with the final track because I wanted it to be markedly different than the rest of the tracks on the album. Well, I was finally able to achieve that sound. This is a sample of the final track – Currents. Remember, this is a WORK IN PROGRESS so the final will sound different in the end. I hope you all enjoy it! Send me your feedback! DJ6i is out! So what’s happening in DJ6i’s world now? Well, there are a few things but they are mostly not obvious. I am continuing to work on the ‘Currents’ track for the EP, it’s the title track so I want it to be the best possible song it can be and it is not there currently. I hope to release my ‘teaser’ work in progress post soon but I can’t promise when that will happen. What I can promise you, though, is that Currents will be a song unlike anything else on this album. It is more like Roots from my first album than it is like the tracks om Currents but diversity is important in an artist’s repertoire. Thanks to the work of my friends at OliverDomain, I have a terrific video for Polysonic that I want to share with you all but I have to finish getting it up on the YouTube machine and I should be able to do that soon. OliverDomain is starting to take off so there may not be as many updates from them in the near future, but I am grateful for their help thus far! Otherwise, life is normal until my beloved gives birth to our twins. At that point, it may take DJ6i some time to get music done.. hopefully I can finish the EP before that happens. That’s it for now! DJ6i Out! 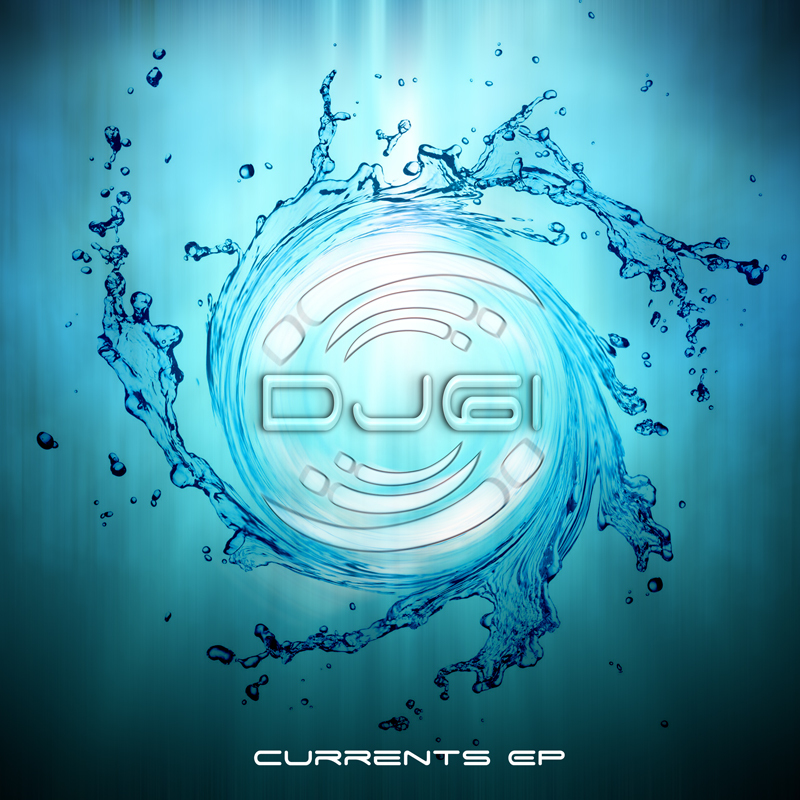 Well, it appears as though I won’t be working with Jego Media again on the artwork for Currents. I attempted to contact the owner of JegoMedia many times and after two months of no response, I assume that they are too busy. But don’t’ fear, DJ6i had another plan! Thanks to the assistance from my friend Ben Oliver at OliverDomain.com, I have the new artwork ready to go. Without further ado, here is the artwork for my new EP… now if I can just finish the songs for the album! Give me your feedback about that album cover! I am excited to say that I am once again teaming up with Jego Media to create album artwork for the Currents EP. All I can tell you is that it will be very…watery. LOL. Keep watching my site and I will do the live reveal.